SecurionPay has been featured in one of the lasts “Paypod: The Payment Podcast” episodes. Our Sales Director, Adam Zamecki talked about how SecurionPay helps businesses increase sales and security, introduced our fraud prevention solutions, conversion-boosting tools and discussed the future of online and mobile payments. Here are some of the key information included in the whole interview. Enjoy! Scott: SecurionPay is passionate about helping your customers maximize revenue, how can a more advanced payment gateway, like yours, help them do that? Adam: To start with, we’ve designed checkout flow to be as quick and user-friendly as possible. We only collect essential information to complete the transaction in order to minimize the amount of effort that customers need to put into the purchase process. 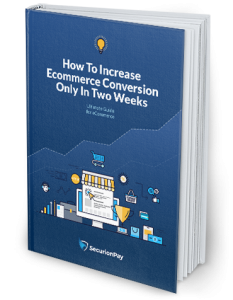 And on top of it, we got rid of all the redirections, as sending customers to other services to pay is one of the most damaging things for a merchants’ conversion. There are also one-click payments — an extremely desired feature by today’s customers, as they can save tons of time. Also, they can save card details on the merchant’s website and complete payments in seconds when they come back, so it also has a great effect on the user experience. Another thing that our clients can take advantage of is the Cross-sales solution. What we’ve observed so far, analyzing how this solution works among our customers is that it brought on an average of 22% increase in their sales. What’s great, merchants can add this tool to their checkout by making a few clicks in our payment platform. S: You guys have incorporated 3D Secure into your payment gateway. The common gripe about 3D Secure is that while it improves security for the business, conversion rates plummet. Can you tell us a little bit about the traditional problems with 3D Secure, and how your implementation minimizes those issues? A: You’re absolutely right about that. Merchants always tell us that 3D Secure is a conversion killer and it causes more harm than good. I don’t even argue with them, as they are completely right when it comes to the standard 3DS. It does cause a major conversion decrease and a lot of frustration from user’s perspective, as they don’t always expect an extra authentication, don’t remember their password, or don’t have their phones. All of these can lead to a loss in sales. That’s why we’ve decided to develop a smarter solution that we call a non-invasive 3D Secure. It gives you a security level just as high, without really interrupting the entire purchasing process. Moreover, it provides more flexibility than a regular 3DS, as it’s up to a merchant whether they accept only enrolled cards, so only when the authentication goes positively or if they turn the possibility of accepting transactions even if the user closes a 3D Secure window. Our 3DS is displayed as an overlay, just as Checkout, so it’s not a pop-up or redirection to a bank-hosted page, which means that users need to take some action to continue the process. With that being said, closing down the window doesn’t cause a drop in your conversion. S: Can you peer into the crystal ball, where do you see SecurionPay in 5-10 years? Are there any long-term projects your working on, or overall goals that you can share, things coming down the pipeline that you think businesses might really benefit from? A: At SecurionPay, we’re getting involved with new markets and industries, so our platform will be definitely enhanced in a technological way. We’re trying to learn as much as we can from our customers. It’s not just about providing them with services, we put strong effort to analyze what they do and adjust our technology to their needs. Everything we really do is keeping our platform ahead of our competition when it comes both to security and technology, and user experience as well. In several years, I see SecurionPay at the forefront of rapid users verification and even more advanced security solutions for them. We make sure we need to fight fraud and minimize the problem to as close to zero as possible. And, regarding the regulations and all the changes that are happening on the market, we’re adjusting our platform to all European business needs. Based on PSD2, we really keep our focus on clients’ convenience and we’re setting even more ambitious goals for the next years, advancing our technology and improving the verification process. What’s important, we can see continued success and an extraordinary, 3-digit growth rate, so we feel confident that we are heading in the right direction with strong prospects for future growth. Stay tuned! You can find the episode 09: Advanced Payment Gateways with Adam Zamecki of SecurionPay here. If you enjoyed listening to this podcast, please remember to like and share it so others can get the valuable information from it too. Want to add something? Don’t hesitate to share your thoughts in the comments section!